San Luis Obispo city officials are refusing to answer questions about a workers’ compensation claim filed on behalf of San Luis Obispo Fire Chief John Callahan, who died last summer, slated to cost the taxpayers about $7,000 per month. Information about workers compensation claims is supposedly open to the public. CalCoastNews has contacted multiple San Luis Obispo city hall staff, city council members, and state employees, none of whom will comment on the Callahan case. In refusing comment, these officials are either claiming the issue is covered under privacy laws, are declining to discuss the filing or are failing to return emailed questions from CalCoastNews. Callahan, 61, died suddenly of a heart attack on Aug. 18 while playing baseball on a city soft ball league. Participants in the league are required to sign a waiver in order to protect the city and other public entities from monetary claims. After 32 years with the Los Angeles Fire Department, Callahan retired as a deputy chief and began drawing his retirement of approximately $170,000 a year. 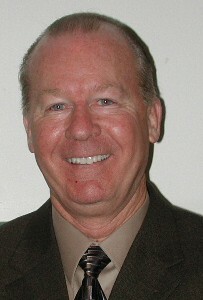 Then in Nov. 2005, Callahan was appointed San Luis Obispo fire chief and continued to draw his retirement plus his chief’s salary. In order to be fully vested in CalPERS, a worker has to have been employed by an agency for five years. Callahan was about 10 weeks shy of five years when he passed away. If he is not awarded workers compensation, Callahan’s widow will continue to receive his retirement from Los Angeles and about $1,500 a month from his time in San Luis Obispo. However, if it is determined Callahan was on the job when he suffered a heart attack or that the heart attack was caused from his work as a fire fighter, his widow could be eligible for a workers compensation claim of tax free compensation. California workers compensation consultant Tim Brown said that information on workers compensation claims is public, but in this case, a request would have to be mailed and he expected a lengthy reply period. “I’ve already had my hand slapped for talking about this,” Brown said, referring to the Callahan case. He referred all press inquiries to the department’s public relations person–who just happens to be out of the office this week. Will marijuana legalization eradicate the black market? While conspiracy theories, anti-public service and mistrust abound in the world of Calcoastnews, there are some actual facts that might be considered permitting the readers to take aim at the proper target. The California Labor Code (section 3212) provides that heart disease is presumed to have been related to ones employment if they are a firefighter or peace officer under the Public Employees Retirement System. This section presumes workman’s compensation rights for heart disease and even carries the potential claim and benefits for a heart problem developing after they retire. This law was enacted after many studies found that firefighters and peace officers had a much higher rate of heart disease and are subjected to a significantly reduced life span upon retirement. Such an enhanced benefit was to compensate them for the stress induced injuries and illness attributed to their line of work. That reduced life span was painfully evident in the passing of Chief Callahan at 61 years old. Heart disease usually develops over many years and then can manifest in a catastrophic event. While he passed during a baseball game, the law recognizes the cause was likely developed over many years and is presumed to be related to his work. That is the law and not merely an opinion. The point here is that a mob mentality has formed to lynch the Callahan family and anyone affiliated with the City of San Luis Obispo. In this particular case, they are not the problem nor can they offer the solution. The law created this issue and was implemented state-wide, not at the local level. To correct that, elect a governor and state legislators that will amend existing law. What is the perpetual problem in the City is the lack of transparency and the over payment of the city manager compared to other regional communities. That, my friends, is a correctable problem within our grasp. Based on this portion of Section 3212.5, the Chief would not be covered by the City of Los Angeles because it had been more than 5 years that he had retired from that department. So, the issue at hand is, if the Chief is not entitled to the benefits based on the law, then why should the City of San Luis Obispo be on the hook for the benefits? The chief’s eligibility (or lack thereof) under the law could not be more clear, from the text you have posted. Thank you. Section 3212.5 does not apply to firefighters so the 5 year rule is not applicable. The .5 section specifically excludes the benefit to the specified peace officers and has nothing to do with firefighters. Also, the cited section has no application to retiree’s of the City of Los Angeles as they are not a subscribed PERS retirement agency. These issues are extremely complex and it is difficult for us non-attorney’s to properly interpret, myself included. Bottom line, the issue is a legal issue and not a policy issue that needs to be clarified. As pointed out by several, we are all frustrated with the level and cost of government service and are in dire need of an overhaul. A waiver of liability is not a waiver of workman’s compensation rights. Those rights are protected by law but may be disputed for specific cause. The city does not pay out the disability, retirement or death benefit…the State of California PERS does. It is still our tax dollar, but the state system is of more concern to me than the local system, with the continuing exception of failing to provide public record information. Actually, the above statement is not entirely correct. PERS is the Public Employees Retirement System in the State of California. The State of California has its account in this investment fund. The City of San Luis Obispo has their account, smaller cities little Morro Bay and Atascadero are pooled with other smaller cities to create their fund. The City of San Luis Obispo is 100% responsible to meet the funding requires for its fund. They and they alone pay for the retirement pay for its employees. When the fund does extremely well the City has received installment paybacks from PERS, sometimes in the hundreds of thousands of dollars. Actually, San Luis for many years did not even have to pay anything into the fund (they paid their share and the employee share for many years) because the fund was “over” invested. Then, with all these large salaries, number of employees retiring (in the past 10 years all the department heads have retired) which should tell us something. When I saw the City Manager, City Finance Director, and the Mayor and Council Settle all retire you can only guess what the future is going to be holding for a wonderful City, and it’s not pretty…. I don’t happen to agree that there is a “lynch mob mentality” here necessarily being directed at the Callahan family, but I see most of the outrage being directed at the city of San Luis Obispo due to their not responding to Karen’s requests as provided in the law, and those who are behind the scenes pushing for the city to find for the insurance to be awarded for the family (or spouse). Let’s remember a few facts regarding this case; Mr. Callahan apparently signed a waiver of responsibility in order to play on the softball team, he was not required to play on the team as a condition of his employment, he was ten weeks shy of being eligible to receive benefits from the city of San Luis Obispo, and when he had his heart attack he was not on duty. The city does not have the luxury of being able to afford to pay out benefits like this just because he was a really good person and a very effective Chief; Mrs. Callahan is entitled to the payments from L.A. for his pension of $170,000 a year and the additional amount of $18,000 a year from San Luis Obispo for his 4+ years of service which equal out to an amount of around $15,000 A MONTH; certainly that is enough for one person to live on? I think it would be received as a very good action if Mrs. Callahan were to tell the city to stop trying to obtain the additional funds for her that she may not be legally entitled to. bobfromsanluis………. “Mr. Callahan apparently signed a waiver of responsibility in order to play on the softball team.” I would assume the waiver would apply to things such as if he was hit by a line drive in the face and required stitches, the city would not be responsible for the medical bill. I am sure the waiver does not include waiving a presumtive condition from employment. what a well worded post. I’m sure you blew ppls minds here. Great facts! And who do you think paid for this abused law by buying the politicians off with their union money! and at great expense to all hard working tax payers who are grateful if their employer offers decent health insurance! Seems to me that the majority of heart attacks are do to plaque build up in the arteries which is caused by poor diet or heredity. Some people break down unhealthy fats less efficiently than others while some people just don’t eat right. In the case of job related heart attacks, I think it has more to do with DONUTS than the job itself. Thanks for your opinion about heart disease. I am sure it was based on the in-depth medical and clinical studies that preceeded the implimentation of the presemptive clasue in the law. It is amazing what damage stress can do to the body. -damage of stress and 32 years of cumulative lack of good sleep. Donuts. What a judgmental, personal stab at this man and his family and the life of sacrifice he made. Remember, this man worked hard, all his life in service to the state, only to die before he and his family could really enjoy the fruits of all that labor and sacrafice. Health and illness all result from the same thing, a combination of genes and the environment. The work environment of this man, like all firefighters, contributes to statistically signficantly higher morbidity and mortality through stress, severely impaired immuno-protective sleep and daily physical risks. This is so ridiculous, I can’t stand it. #1 – Was he paid to play softball? #2 Was he forced to play softball? #3 -Why didn’t he have life insurance like the rest of us private business owners and employees? This is exactly why insurance costs keep rising for the rest of us. Sorry for the family’s loss but come on, this is typical fleecing of America. Move on and don’t drag the rest of us down from your improper financial planning, ie. no life insurance I must assume, and accept the fact he died while having fun recreating per his own decision on his own time. Its an epidemic or a conspiracy or the embodiment of the pure utopian welfare state. It seems that all citya dn county employees are members of this exclusive club that they have created for themselves over the course of the last couple of decades. It has evolved slowly and was, for the most part, overlooked during the economic heyday of recent past. But now in the clear light of day we have ourselves a welfare state. All the city and county employees are on a massive dole that is a guarantee of financial freedom for themselves and their heirs for generations to come. Its excessive, undeserved and unearned welfare pure and simple. It needs to stop and stop now. We need to put some of the leaders in jail as they are doing with the Bell boys. Extreme measures need to be taken and taken now. Anyone in any position making over $100,000 a year should get a 30% pay cut now. Will they quit their job….not bloody likely….Similar cuts need to be applied to all positions. The higher the salary the higher the percentage cut. None of these people will quit their jobs…if they do they can be replaced in a heartbeat. IF they were any good we wouldnt be in this fix. When anyone signs a Workers Comp Application, there is a question that is relevant to this case: Does anyone sponsor or participate in sporting events? That was probably answered No. When you sponsor an event your Workers Comp could very well be brought into issue because…those who participate in the event actually do so in representation of your business. Workers Comp can also extend to volunteers as well. Keep in mind, while the claim is actually for the injured employee, the employer has an equal responsibility to file notice of claim within a certain period of time, usually 48 hours of first notice of injury. There doesn’t seem to be a specific insurance “hold harmless” clause in the contract signed and that might also cause a problem. I suspect the Workers Comp will be brought into settlement and SLO City filed the notice of injury, as they should have. Both of those should have been answered Yes if the league sponsor was the City. If the City did in fact file the first notice of injury, they already reviewed their application for these two important but normally overlooked questions…. Another ‘legal’ rip off. Time to lean on our leaders (and candidates) to clean up this mess of way too much money for our civil ‘servants’. Although I have great respect for firefighters and cops and although I imagine there are other issues at play in regards to this story it still seems (from a taxpayer viewpoint) like something is very wrong. SLO City Management really needs to do some soul searching here because it seems like their management culture supports this type of stuff. Thats why I have a real hard time supporting someone like Parkinson because he probably sees things from such a perspective. I know this site likes jumping to conclusions before the facts actually lead to one, but I am curious to learn more about how workmans comp works in relation to these public service officials like Fire/Police. Before we jump on a “grieving family” for being a “greedy family” like some of these overly enthused and angry readers, I would first like to add noone insinuated that the chief was ON THE JOB when he was playing softball (not baseball Karen-minor details, I know). But I do remember Sheriff candidate Joe Cortez refering to his workmans comp story that was discussed a week or so ago saying that when a cardiovascular issue surfaces with a person in police/fire service capacity, it is by default considered to be related to their job. As with most stories here, I think theres some leg work that needs to be done. So please check that out. Meanwhile there’s a grieving wife somewhere and we have these crazy readers accusing her of having her hands in our pockets, based on a story that has a lot more questions than answers. The Moderator says: off topic derail comment removed sorry. First comonensual I am not jumping to conclusions. I am responding to what I read. Second. As an employer myself I DON’T file workers comp for the employee, they do. I would file a report of an injury or death but to file for benifits would be the person injured. Which leads me to three. In lew of a person to file (death) I would then think the family would file. Again not the employer. Four. The grieving widow is already getting a $170k a year. Does she really need more than what she is already entilted to?? Five. Just the facts. Yep your right and if it wasn’t for CCN the facts would probably be getting swept under the carpet right now as we speak. Somebody must be filing false papers if there is a need to claim he was on duty when he wasn’t. They will claim he was on call or some such nonsense. Probably make false logs to prove it. Nobody ever gets put up on fraud charges in local government even when they knowingly commit fraud. Why is that? Who makes the decision who is charged with fraud?